Check out “Ego,” the latest from Gangalee. As a part of her PROFILE series, Dee Vazquez threw a couple of questions at Lil Kim. Check it out above. While hanging out at SXSW, Raven Sorvino talks about almost signing with Dr. Dre and Diddy but choosing to do otherwise. The Harlemite Ms. Banks interviewed with GQ Magazine. She talked about fame, Kanye West, and her upcoming debut album along with other things. 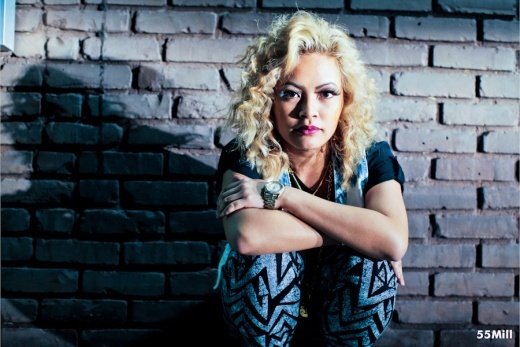 In a recent interview with VIBE, Honey Cocaine sat down to talk about the meaning of her name, by discovering through Youtube, her musical influences, and more. Following in the footsteps of other artists like Britney Spears, one of Nicki Minaj’s wishes was granted. While on the video set of Madonna’s “Give Me All Your Luvin,'” Madonna along M.I.A. and others helped Nick celebrated her birthday. Madonna decided to thrill Nicki by giving her a little kiss. Of course, Nicki was too excited. Jungle Gym Magazine recently sat down with Kilo Kish to discuss her music, upcoming projects, and more.